The Lady Mustang Volleyball Team is focused and gaining ground every week under the direction of new Coach and Athletic Director Tamara Bednorz. Back row: Raven Sanchez, Bailey Boucher, Trista Vera, Abi Woodson, Jelli Padilla, Katelyn Corona, Monique Leija, Shaunna Masters. Front row: Hailey Manka, Angie Zapata, Bry Perez, Mariah Joseph, and Ally Chavana. The youthful Natalia Lady Mustangs competed in a long week of action. After dropping a dual on the road last Tuesday in Hondo, the girls in blue competed in a two day event in D’Hanis. When the weekend came to a conclusion, the girls in blue were able to win two out of eight games competed in. “We continue to learn and improve each time we step onto the court,” Natalia Head Volleyball Coach Tamara Bednorz said when asked about the week of action. Natalia, as mentioned, battled Hondo and D’Hanis on August 7th in their season opener. Natalia fell to Hondo 27-29, 7-25, 10-25 before falling to a salty Cowgirl squad 6-25, 7-25, 15-25. Thursday, Natalia began pool play as they battled in three games. The girls in blue fell to the Junction Lady Eagles 21-25, 25-17, 20-25, Leakey 21-25, 21-25 before defeating Knippa 16-25, 25-23, 25-14. On Saturday, the Lady Mustangs began the day with a victory over the Utopia Lady Buffs, defeating the Hill Country squad 25-2, 25-22. The Lady Mustangs ran into host D’Hanis in the second round of the winners bracket. Natalia did compete better than just days prior, but the purple and gold still managed to come out ahead knocking off Natalia 25-22, 25-13. In the final game of the tourney, a 3rd place trophy was on the line vs Junction. After starting off the game with a tough 24-26 loss, the girls in blue came together and picked up an impressive set two win 25-16. Unfortunately, they lost their momentum and fell 18-25 in the third and final set. No stats were available as of press time. Natalia was on the road on press night as they were set to travel to Sabinal to face the Lady Jackets. 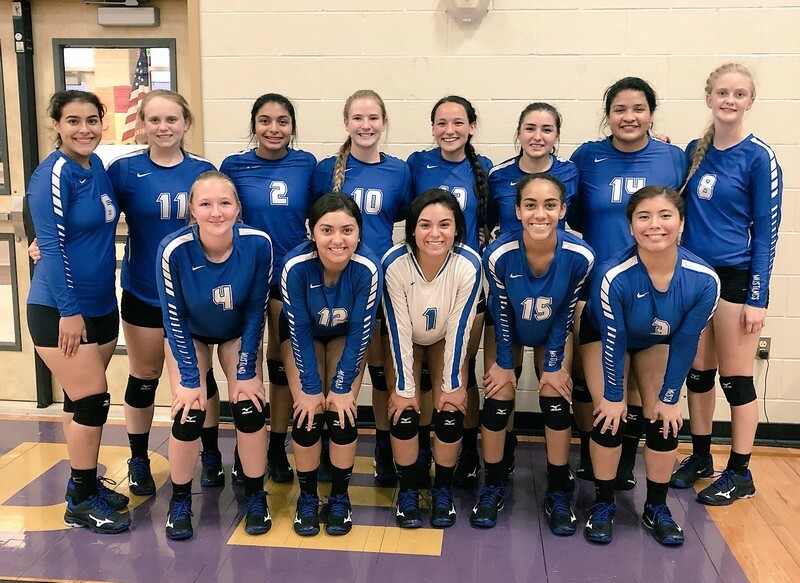 This coming weekend, the girls in blue will have their hands full as they travel five miles south to Devine for a challenging Arabian Volleyball Round-Up. See the Devine VB Tourney story for more details. Natalia will be open on August 21st unless the girls in blue can pick up a game between now and then.